Renowned German automotive manufacturer have made a car with a futuristic concept that will be dedicated specially to celebrating the 100th anniversary of the company. 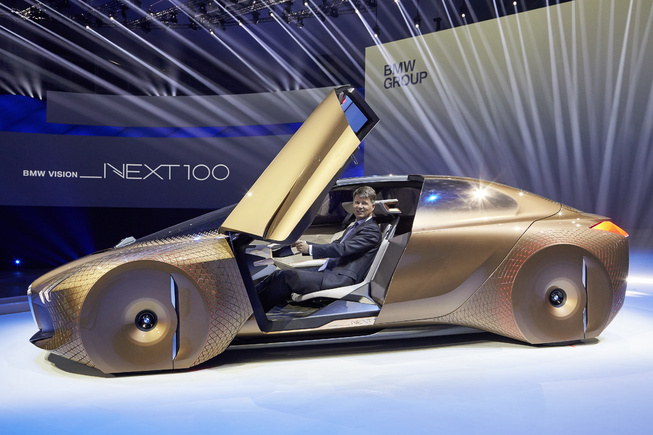 The car is named 'BMW Vision Next 100,' the same as the company's anniversary. BMW will make a world tour for the Vision Next 100, with the ultimate goal of stopping in China, the United Kingdom and the United States. 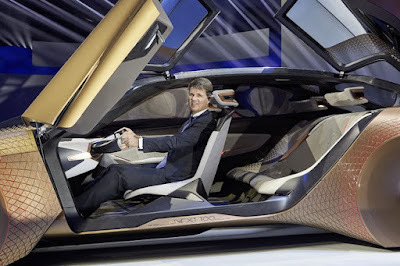 This futuristic car combines a coupe profile with spacious interior of the sedan, and also designed to improve both in terms of vehicles and humans. In this car there're advanced features that support a variety of activities while driving with it. The 'boost' mode focuses to the driver but use the computers to keep showing the ideal driving line, steering point and speed. Then 'Ease' mode is able to change the interior, unplug the steering wheel and center console. Headrests turned to the side, while the seats and doors combine to form a single unit that allows the driver and front passenger seats facing each other. 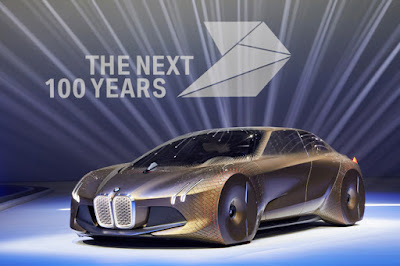 The car styling seems to take inspiration from the BMW i8 hybrid model, but unfortunately, BMW no mention of what powertrain could propel such vehicles of the future.